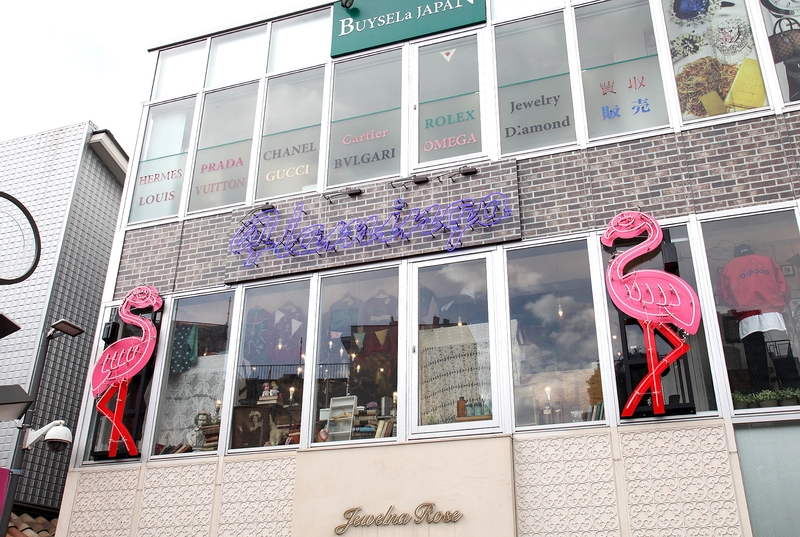 The Flamingo Harajuku Mabataki Location is based on the concept of “Twinkling”. They have a wide selection of pop and fun items from as early as the 1930s all the way to the 1990s carefully selected from places such as America and Europe. These items are offered with colors and shapes that will catch your attention and make your eyes flutter with excitement. They also offer the latest items before anyone else. They have a considerable line-up of Sukajan Japanese satin jackets which are currently popular. They also have a complete array of sport brand name items, items made from thin and soft fabric which are popular this spring and pink items. The items offered at the Mabataki Location are constantly changing. You’re sure to enjoy encountering surprises and making discoveries with every visit here.